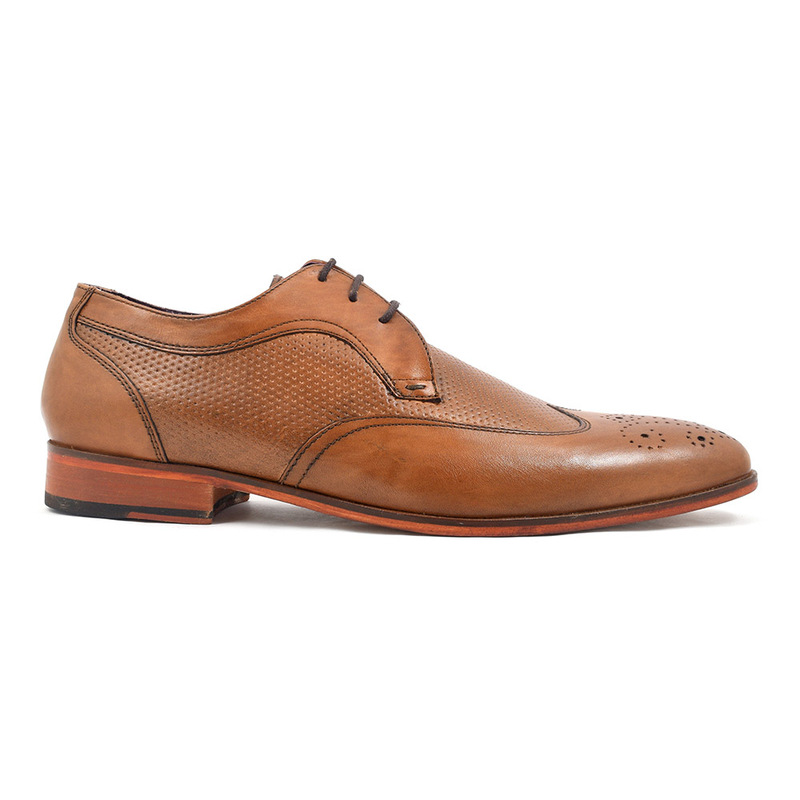 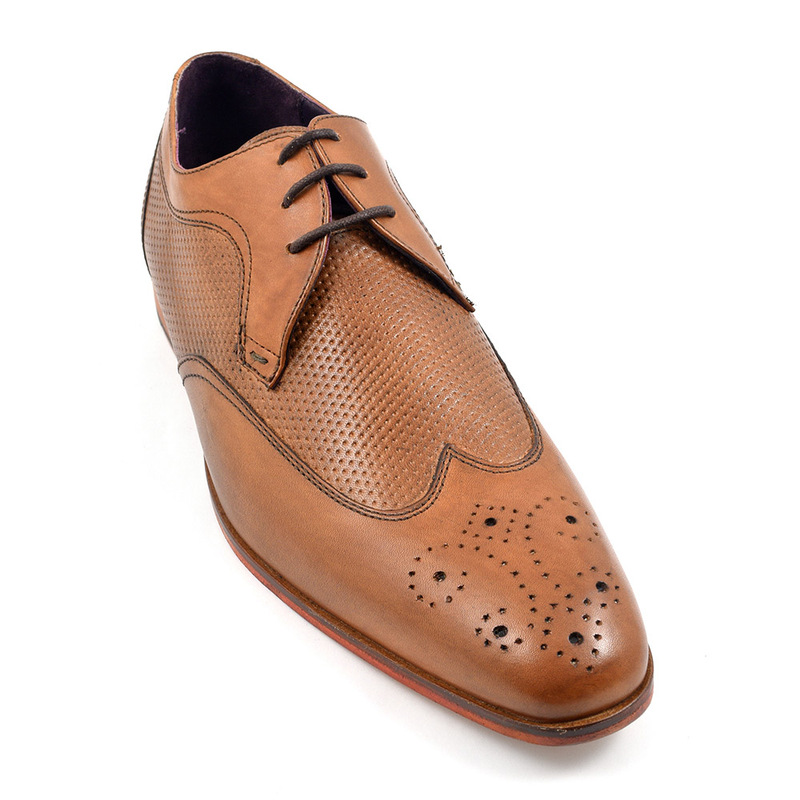 A tan derby brogue with a textured feel in the laser detail to the vamp. 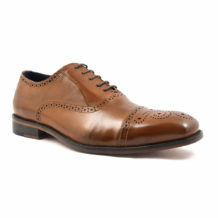 Finished with a leather sole. 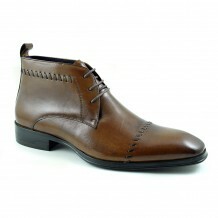 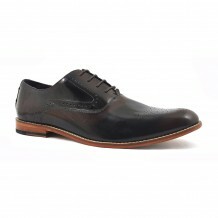 Be the first to review “Levan Tan Derby Brogue” Click here to cancel reply.